No chance of hit or miss with this! Any amount starting at $20. Consider it as a GROUP GIFT and invite friends to chip in. 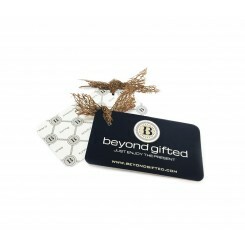 BEYOND GIFTED Gift CardsAny amount $20 and up. Let the recipient choose.JUST ENJOY THE PRESENT..